If you enjoy spending time outdoors, you’re going to need a good pair of hiking boots. In addition to protecting you from whatever elements you happen to be walking in, hiking boots provide extra stability to protect your feet and ankles as you walk along uneven (and at times unstable) ground. But even if you’re not a hiker, a good pair of hiking boots is a good thing to own if you spend a lot of time working in the garden or even just walking through cold, wet, and muddy areas—the same principle of protecting your feet from the elements applies. Here’s how you can find the right pair for you. 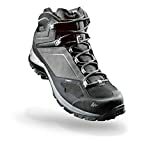 Ventilated: Ventilated boots are designed to allow air to flow in and through them. If you’re hiking in a hot, dry area, they can be very beneficial for keeping your feet cool and comfortable. 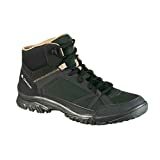 Waterproof: On the other hand, if you’re going to be walking through terrain that is wet or muddy, you’re going to want boots that are waterproof (or at the very least, water-resistant), because otherwise your feet are going to get soaked, which can be uncomfortable and potentially unhealthy or dangerous. Stability: Stability might be the most important quality for a hiking boot. Since its job is to provide extra structure for your feet and ankles as you walk across uneven ground, a stable boot is a must. The best brands provide excellent stability for users, while still having enough “give” to make them comfortable. Comfort: Hiking requires a lot of physical exertion, and sometimes it’s an uncomfortable form of exercise. Hiking boots can either help make the problem better or make it worse. Great boots keep their wearers’ feet comfortable so that they can focus on the path ahead. Durability: Just like their wearers, hiking boots get a workout, and they need to be up to the challenge. The best brands do just that, while lesser-quality boots start to fray (especially the laces and the connection between the soles and the “bodies” of the boots. Waterproofing: There’s no real point in paying the money for a “waterproof” pair of boots, only to end up with wet feet. The best brands don’t have this problem, and when they say they’re waterproof, they actually do keep the water out. Accurate fit: This is especially important when you’re purchasing boots online and can’t try them on before you buy. Be sure to check out what reviewers have to say about sizing: do the boots tend to run small or large, or does the manufacturer do a good job of providing an accurate fit? Fit: As mentioned above, an accurate fit is important. It’s also important to keep a few things in mind, such as whether or not you need a wider size, what kinds of socks you’re planning on wearing on your hikes, etc., all of which can affect the boot’s fit. Your needs: If you plan on going on extended, difficult hikes make sure that you find the toughest, most durable (and probably waterproof) boots you can find. 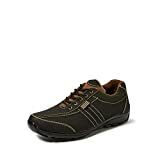 If you have a local place that you like to visit for lighter hikes, then something a bit more lightweight and comfortable might be what you need. Weight: Be sure to check out how much the boots weigh before purchasing them, and think about how much you’ll be able to walk while wearing them without the steps turning into chores. 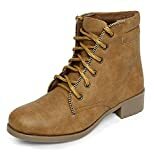 Material: Depending on your own personal style and tastes, you can find boots that come in a wide range of materials, including leather and a variety of synthetics. Timberland: Timberland is an American outdoor sportswear company that is one of the country’s leading producers of hiking boots. Founded in 1952, the company has long been an internationally successful provider of everything hikers or other outdoors enthusiasts need to wear. Columbia: Although Columbia might best be known for their coats and other outerwear, the company also produces a number of high-quality hiking boots. Like Timberland, Columbia is one of the most recognized names in outdoor clothing. Keen: Keen is an American footwear company. Founded in Portland, Oregon, Keen produces a wide range of shoes and boots, which are made in American factories. Hi-Tec: Hi-Tec is a British footwear company. It began its operations in 1974, and has since expanded to the point that its products are sold worldwide. Vasque: Vasque is an American company that has been producing hiking boots and other outdoor footwear since 1968.